Morning folks, just a quick one to let you know Alt-N Technologies have just released an update for MDaemon Messaging Server and it includes some highly recommended security updates among other things. In 14.0.2 you’ll find a raft of tweaks and improvements along with a couple of minor branding changes. 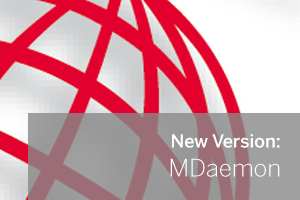 The more observant of you may notice that WebAdmin is now referred to as “MDaemon Remote Administration” and ComAgent is now the “WorldClient Instant Messenger”. You’ll also find some usability tweaks in Worldclient such as the ability to nickname favourite folders. If you’ve not tried it yet, MDaemon’s new webmail interface (WorldClient) really is fantastic. It saw a theme overhaul in the last release and that seems to have turned what technically has always been a great feature, into a genuine Outlook replacement.